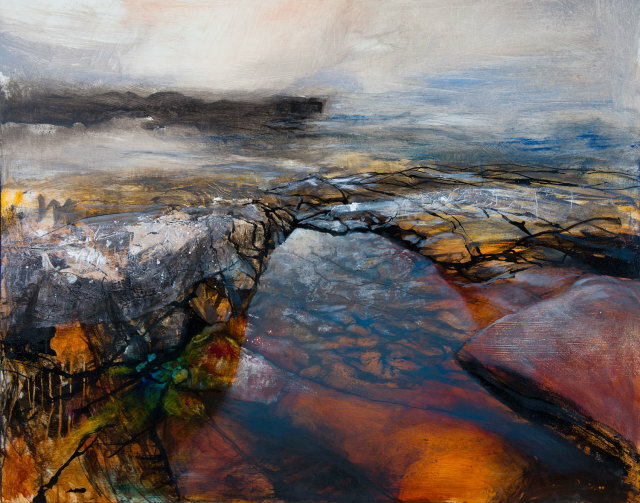 Few artists are as attuned to the landscape of the West Highlands and Islands as Beth Robertson Fiddes. Mountains, pools and waterfalls are etched into her memory; with each element of the landscape rendered as a tactile, felt sense that strikes a balance between realism and abstraction. Fiddes conveys the expansive scale and Romantic vision of Highland landscape. Beth Robertson Fiddes was born in Tiree and grew up in the Highlands. She graduated from Edinburgh College of Art and now lives and works near Ullapool.